A new month, a new currently; courtesy of Farley at Oh' Boy 4th Grade. Listening: I am listening to my Current playlist, how appropriate. It has music from 2010 to now in it, all genres. Kristin Chenoweth was playing as I typed this section. Thinking: I am taking buffalo chicken dip to our friend to watch commercials later. Wait, I mean football. Any way, I know how good it is going to be. After all, I had to try it once it was all put in the crock pot. I would have to serve my friends something sub par. Wanting: I really want to plan our summer vacation. It will be the first vacation without our daughter. Don't feel sorry for her; she is going to Europe in May. We are going to Napa Valley, then to the LA area to visit a friend. I know where I want to stay, and several vineyards I want to visit. I want to sit down and plan the whole trip. Not just book the hotel and plane tickets, but make the itinerary and everything. I really need to wait. 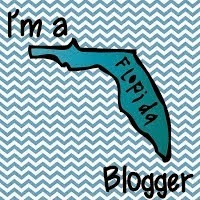 Needing: I need to learn how to create a navigation bar for my blog. 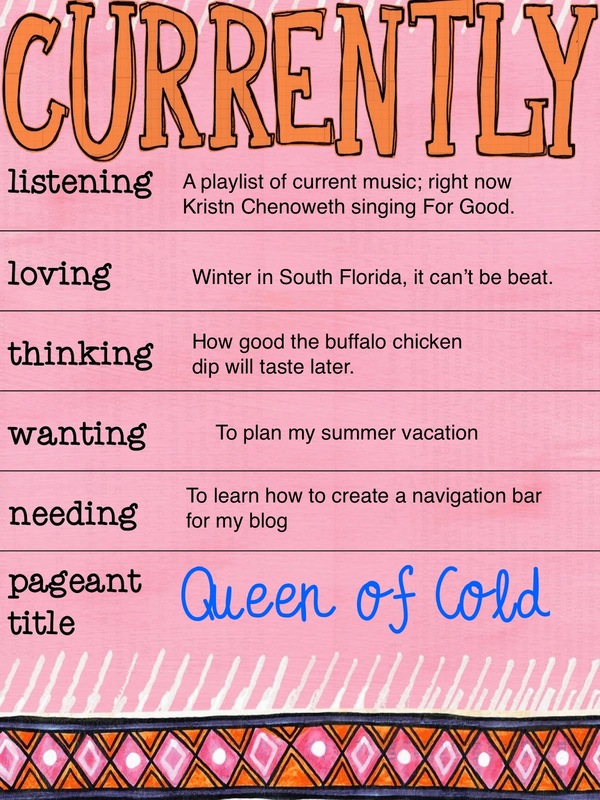 I need to add an "About Me" page and maybe other links. I tried it before and ended up deleting it as I don't think it was correct. Plus I need to write the "About Me" page and I can't think of more than about three sentences. I am not good at self promotion. Pageant Title: Queen Of Cold... said it my best sarcastic voice. I am forever cold, and have been assured by my cardiologist that I am just blessed that way. I wear long sleeves if it is below 75, and take a jacket to the grocery store and a sweater to the mall. It is not fun. What is happening in your life CURRENTLY??? I am in south Georgia, and I love that our winters are not too terribly cold. I understand your "Queen of Cold"...I am the same way. I hope you have a great week! Well, you would need a parka here today...gusty winds and a temperature that feels like 0 degrees! Ugh, dreading going out today. Enjoy the commercials (football) can't wait to hear what everyone's favorite will be!